**UPDATE** The link to this pattern no longer works. However, there is a similar pattern on ravelry here. Hope it helps! 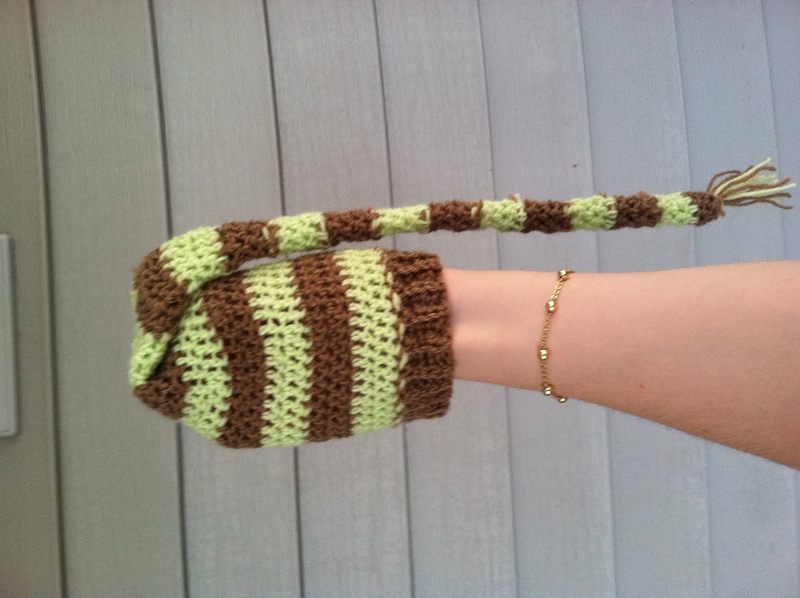 The hardest free pattern to come by on the internet is a stocking cap (elf hat) pattern! Granted, there are some patterns. The ones I found were just too big and bulky. 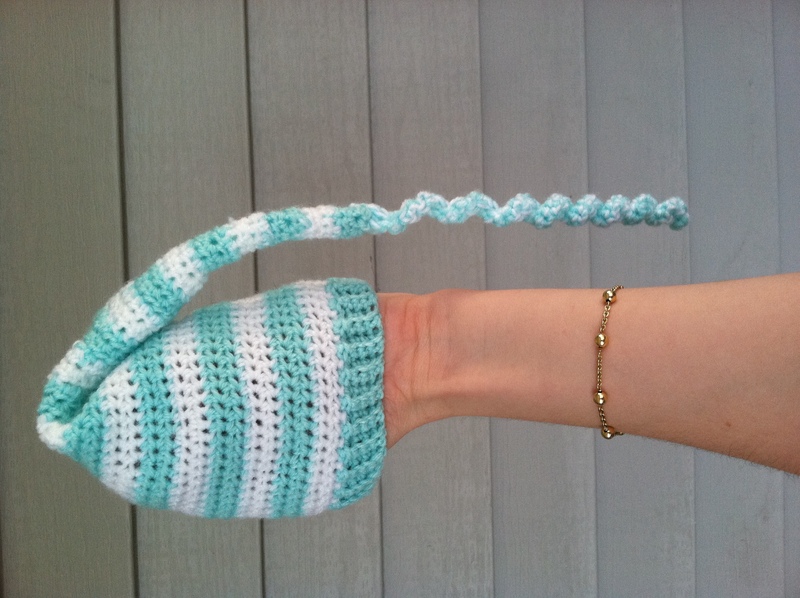 I wanted to make a cute hat like this, but the only patterns I found had big, chunky tails. I LOVE the site crochetpatterncentral (also knittingpatterncentral), but the right pattern evaded me. Finally, after spending most of the day searching, I found a pattern that I could use. This blog has a really cute pattern. I liked everything except the pom pom. It was perfect. 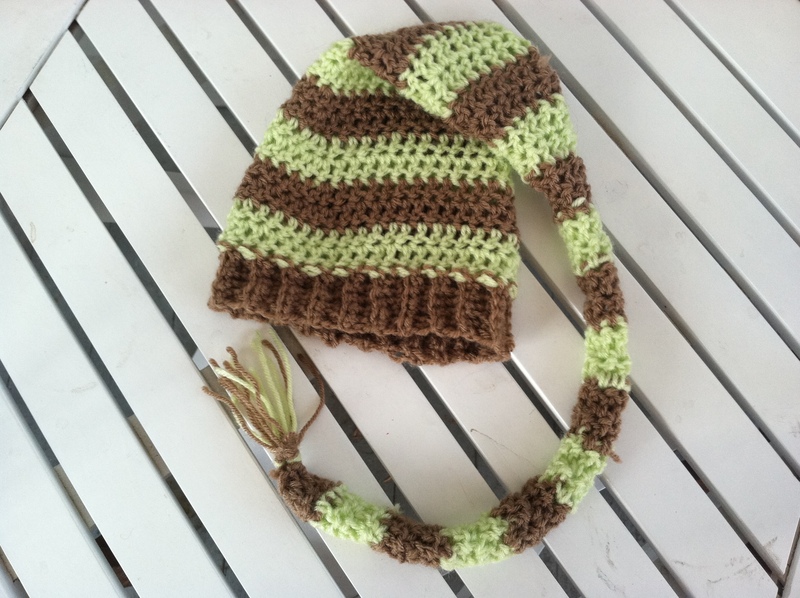 This is the hat I made from Oodles 4 Noodles pattern. Very cute. The pattern calls for a double crochet, so the hat is nice and loose and floppy. Once the first hat was made, I created my own pattern. 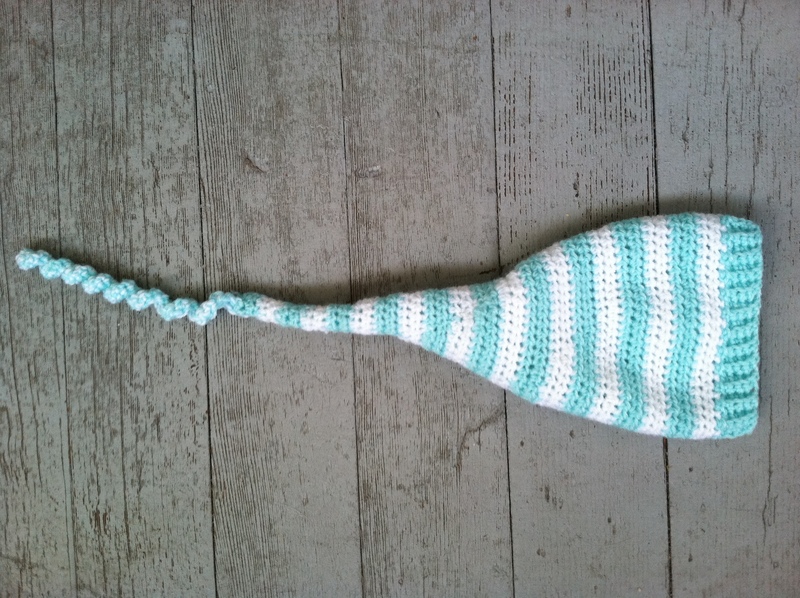 I was asked to make a sticking cap with a curly tail; this is the result. What do you think? Which hat do you like better? It’s obviously a smaller size than the first one, but it also has a totally different shape. It needs to have a more gradual taper to the top. I think when I make it again, I will make the curly tail longer. Next, I will attempt to knit the hat! I like the curly tail of the blue one, but I prefer the way that the brown one tapers. They are both so cute, though! May I ask – why an elf hat?? I agree with you! 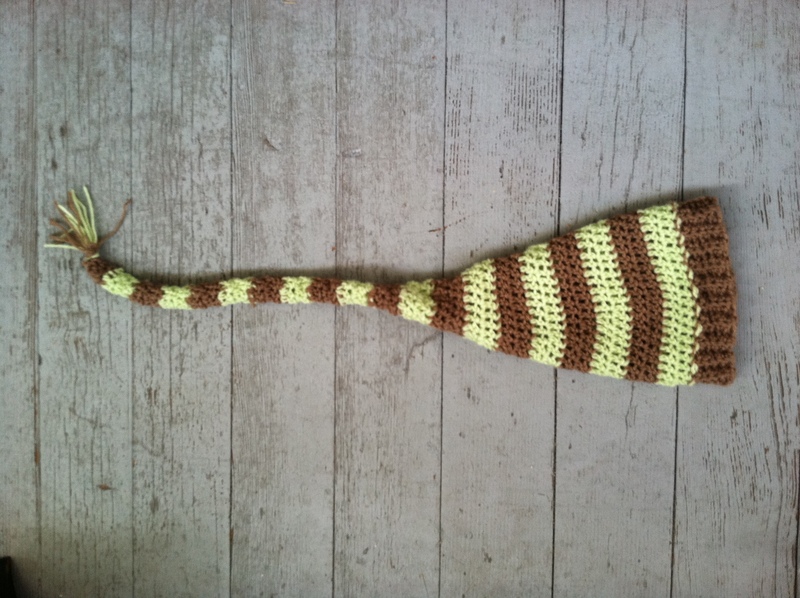 I will have to try to make a curly tailed-tapered hat. Someone asked me if I could make some elf hats for them, and that is what started the search! I added a new link. Sorry if this is too late. Good luck!